Take a moment to construct this in your mind: white-washed buildings, cobbled streets, tile roofs, wooden balconies and bright flowers peaking over walled courtyards. The image you have just formed probably looks a lot like a typical colonial town in Colombia. Villa de Leyva was the first such village we visited that fit this profile. It was declared a National Monument in order to protect its colonial architecture, and its proximity to Bogotá make it Colombia’s premier destination for reliving the country’s colonial past. The town’s main plaza is a vast expanse of cobblestones and is claimed to be the largest such plaza in South America. 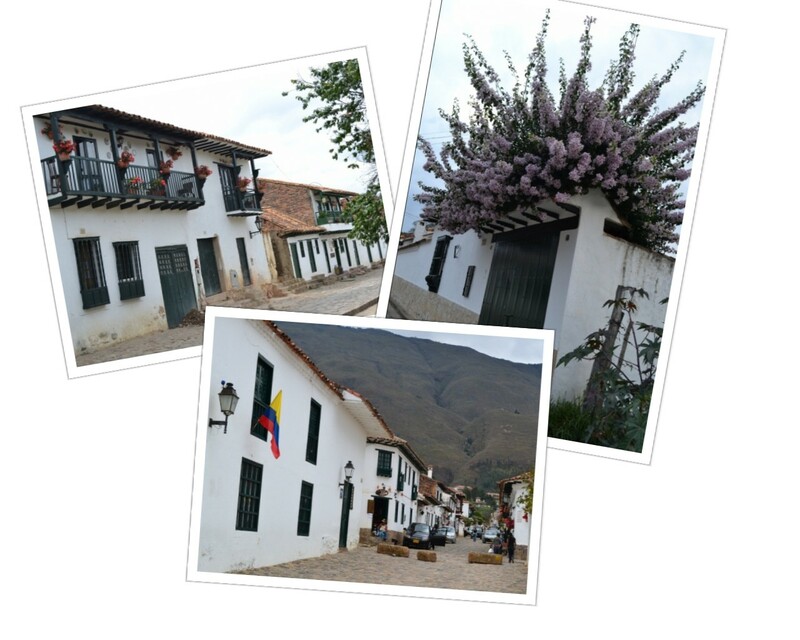 It is the heart of Villa de Leyva and where all the action takes place. Granted, it’s not much action, as the town is home to less than 10,000 people, but the square does come alive during the night time. Locals and tourists alike grab beers from one of the many convenience stores that line the plaza and take a seat on the cathedral steps, a bench or plastic chairs and talk the night away. In rural communities across the world, farmer’s markets are a tradition that date back centuries. 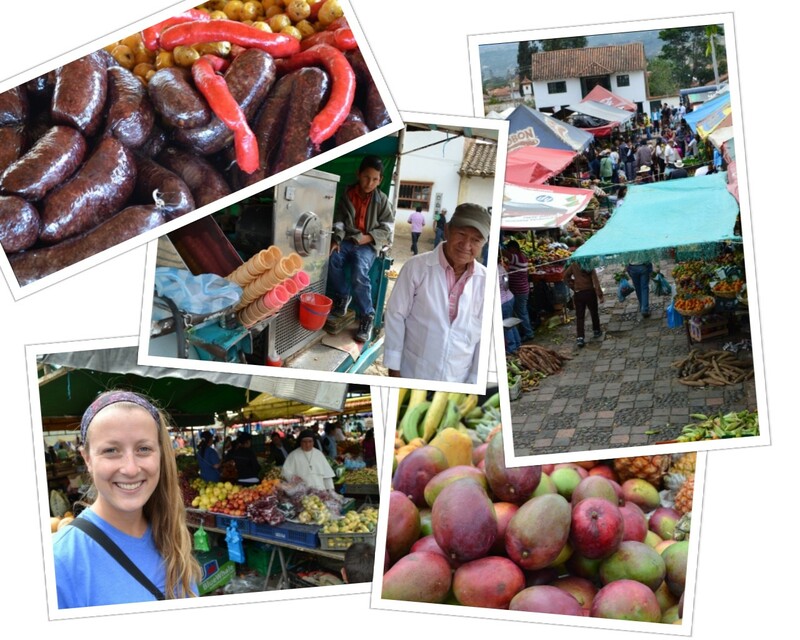 Luckily, we visited Villa de Leyva on a weekend, so were able to experience the weekly Saturday market that takes place just a few blocks away from the plaza mayor. It was the best we’ve seen in this part of the world, but we can’t exactly pinpoint why. It certainly wasn’t the largest, and it wasn’t particularly exciting, but there was just something about it. Maybe it was the old man that sells soft-serve ice cream with sprinkles out of the back of his pick-up truck, or maybe the endless supply of huge and juicy mangos. It also very well could have been the stands that sell freshly grilled meats and perfectly fried plantains, or possibly the old, grey-haired cowboys knocking back round after round of cervezas. Regardless, it is not to be missed on your visit to Villa de Leyva. 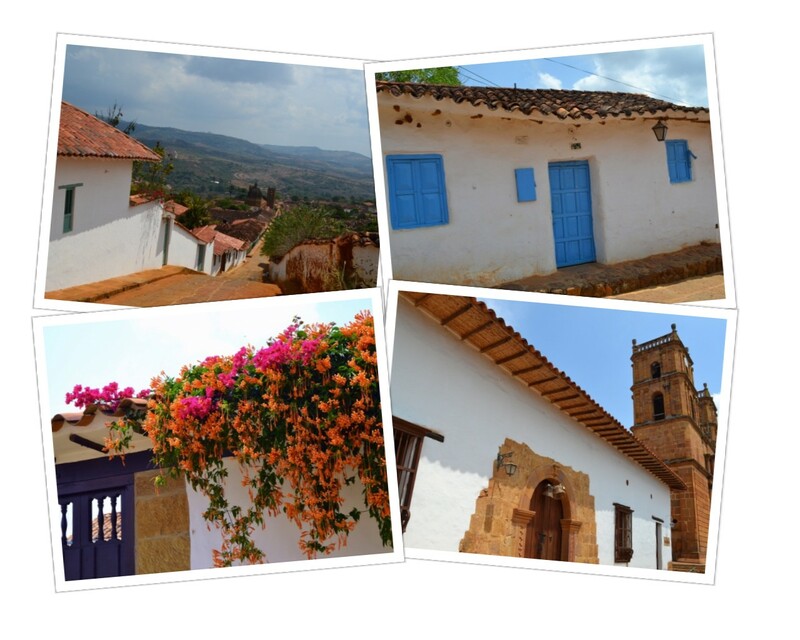 If you leave Villa de Leyva early, you can reach the town of Barichara in the same day. Much smaller than Villa de Leyva, and nestled amongst green mountains, it is said to be the most beautiful town in all of Colombia. This was the second stop on our quest to soak up the country’s colonial architecture. One person described Barichara as Villa de Leyva’s little brother, and we could see why. It has many of the same design features on the surface, but to us it has a bit more charm and quaintness than Villa de Leyva. 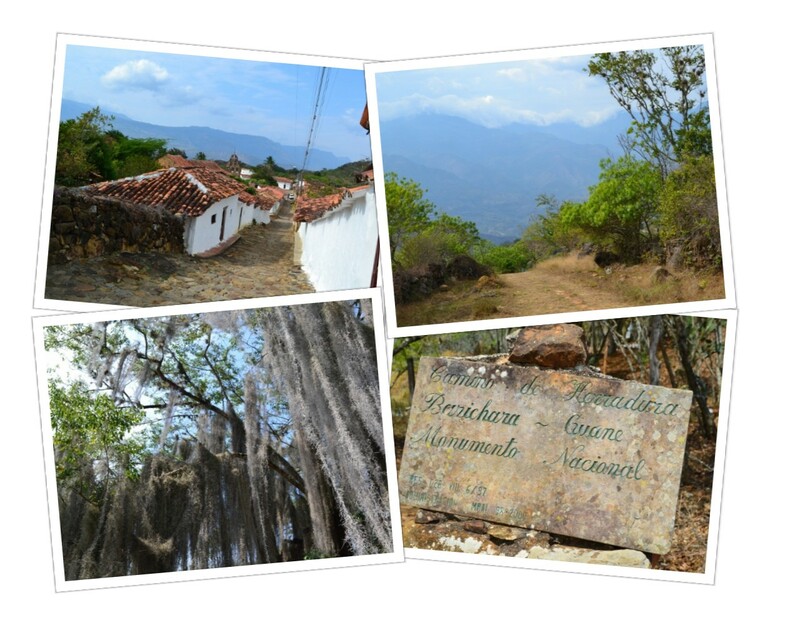 From Barichara, we followed in the footsteps of South America’s most famous figure, “El Libertador” Simon Bolivar, and hiked the now famous Camino Real trail between Barichara and the town of Guane. Legend has it that the same route was used by Bolivar and his men while fighting for independence from Spain. The trail descended from the mountain-top and crossed rolling hills occupied by old fincas and enormous trees dripping long strains of Spanish moss. In the distance, we could see the beginnings of the Chicamocha Canyon. If Barichara is the little brother, then Guane is the infant child taking a nap. Don’t get us wrong, it is a beautiful place and has the same distinct architecture as the other two, but we have never been to a sleepier town in our lives. Guane is so small that the locals have names for all the street dogs and can teach you each dog’s family tree. From Guane, we caught the local bus back to our hostel in the slightly more modern town of San Gil. While it lacks the very obvious colonial feel of the other towns we have mentioned thus far, the remnants of its past can still be seen in certain aspects of the city; most notably, the central plaza and church. The plaza still continues to be the heart of the town, and like Villa de Leyva, chilling around the plaza with a beer and people watching seems to be the thing to do on just about any night of the week. As for the church…well you see, we generally get bored when reading about church design (the secondary nave, followed by the Roman double arch formation, etc. etc. etc.) so we can’t really explain it in too much detail, but basically all of the churches in these colonial towns were constructed with impressively large stones, have high exposed-beam ceilings, contain two rows of columns and arches and have elaborate altar areas. 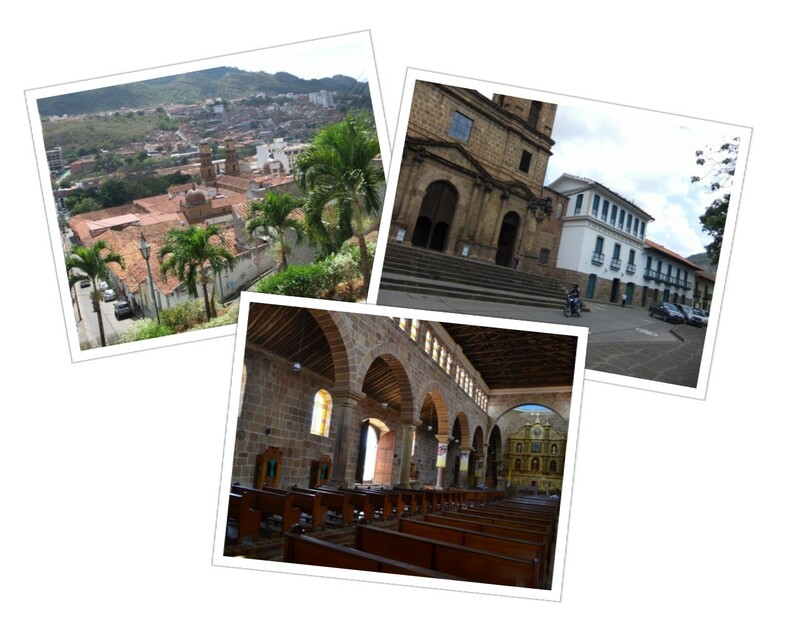 We know that probably describes about half the churches in the world, but thus far, the churches we have visited in Colombia have all struck us as having a very different feel that others we have seen in South America and Europe. All and all it was a relaxing couple of weeks visiting the colonial towns of Villa de Leyva, Barichara, Guane and San Gil. We have heard other travelers say that these towns are boring because there is “nothing to do” (well, except for San Gil, which is a self-proclaimed extreme sports mecca), but we quite liked the laid back vibe of these places. What defines traveling more than slowing down your routine, wandering through a town slowly, talking with locals and soaking in the history of a place? Empados de la cultura, eso es lo valioso de reposar en el momento. Marivilloso y pintoresco pais. Siguan viviendo y disfrutando. 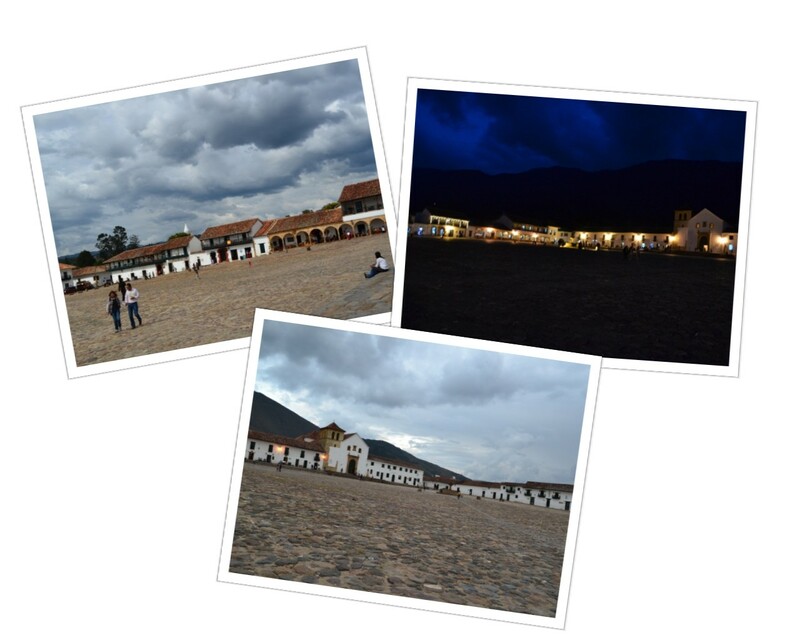 I love Villa de Leyva and San Gil. Did you guys make to Parque Gallineral in San Gil? It’s wonderful and you can get a free guide that will tell you all sorts of wonderful things about the plants found in the region.